Our reps form the vital links between members and the union as a whole and are volunteers, trained by UNISON to support members at work. Reps plan campaigns and organise members around important issues. They work particularly closely with members to improve workers’ conditions and raise awareness of employment issues, locally and nationally. Reps are also responsible for recruiting new members. All workplace reps and members belong to a local UNISON branch. In turn, branches are grouped in regions. 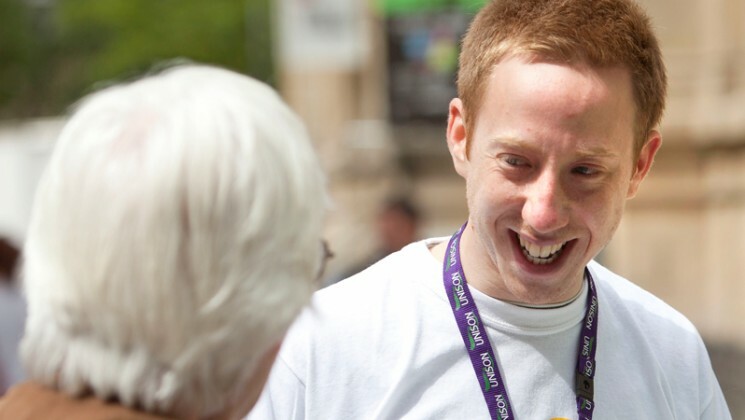 When UNISON members face problems at work, we first encourage them to speak to their rep. The rep can then help individual members by helping them discuss their concerns with the employer. Reps may arrange for members to get help from people or groups in UNISON, or work with them to get the information and help they need. The steward or rep will then advise on what should be done to solve the problem. This could involve approaching the employer if necessary. Many UNISON reps are trained to deal with issues around employment law, grievance and disciplinary matters. Reps often speak on behalf of members experiencing problems at work and may accompany members to grievance meetings or hearings.